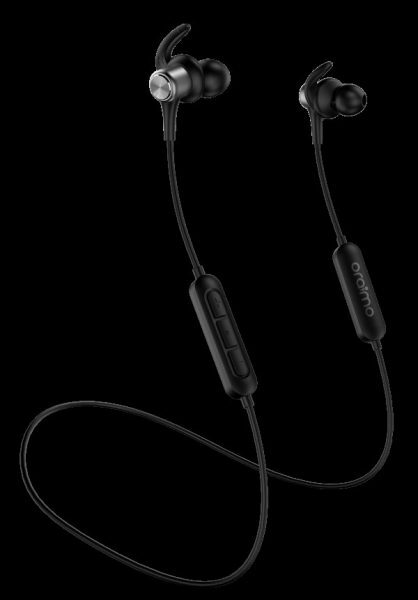 Oraimo, the accessory brand from TRANSSION Holdings, has announced the launch of its new earphones in India, Shark OEB-E57D. Oraimo Shark OEB-E57D is priced Rs. 2,399 and comes with shark fit designed sport tips on each light weight earbud that will stay securely throughout your travel and work out sessions as claimed by the company. These earphones have flexible round-the-neck design and have magnetic buds and produces uber sound quality with extreme bass and big sound. The Shark OEB-E57D earphones employ a mix of plastic and metal, which keeps the unit light-weight without sacrificing on the build quality. The neck band is equipped with in line remote and microphone that allows one to intuitively manage music without having to touch the device. The Shark earphones exhibit a standby of 120 hours and its battery provides a talk time of upto 8 hours continuously. It provides connectivity options of Bluetooth 4.1 for pairing easily with any smart device. It allows to create one’s own personalised optimal fit with three sizes of shark fin eartips and earbuds available with each pack. Oraimo is offering one-year replacement warranty on these earphones.